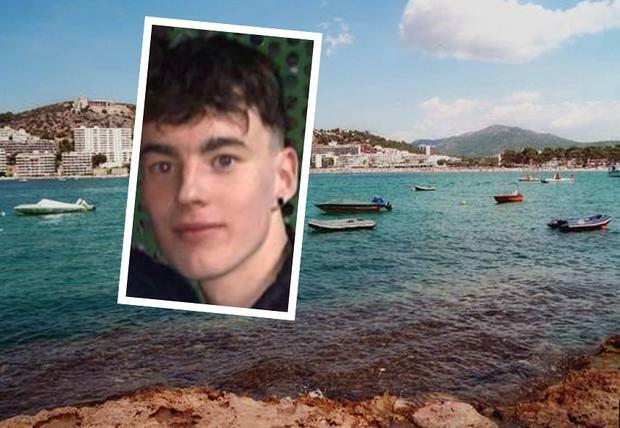 The heartbroken mother of an Irish teenager who has tragically died after he fell in Majorca earlier this week has said "our lives will never be the same again". Jack Walsh’s devastated family had travelled from their home in Askeaton, West Limerick, to the Balearic island to say their final goodbyes. The 19-year old triplet’s life-support machine was turned off at Son Espases University Hospital, Spain yesterday. He had fallen from a hotel balcony in the early hours of last Tuesday, after arriving to the holiday resort to catch up with friends. Days beforehand he had sat a Leaving Certificate exam paper at Colaiste Mhuire Askeaton and was traveling to Spain to celebrate finishing his studies. Several sources confirmed the Walsh family had made the devastating decision to turn off his life support machine on Thursday evening, and that all his family, including his triplet sisters Tara and Orla, and parents, Tony and Sandra, had travelled to be with him in his final moments. His mother Sandra paid tribute to her son this afternoon, as she revealed that they are following Jack's wish to donate his organs. She said in a Facebook post: "Our lives will never be the same, the support we have received as a family has been amazing and is a true reflection of what a wonderful young man Jack turned out to be. "Jack ticked the donor box on his learner license and it is a comfort knowing people are alive today as a result of Jack’s tragic accident. "Thanks to everyone for all the kind words and wishes. Your support is really appreciated at this sad time. He had been a member of Askeaton Football Club since he was a child and their PRO, Francis Sheahan, said everyone is devastated by the news of his death. Mr Sheahan told Independent.ie: "Jack was a very popular lad, he was highly-respected by all of his team-mates and he was a good kid, I would know his family well. "You never know what's around the corner and it's heartbreaking for his family and also for the local community. "Everyone in Askeaton is just reeling from this, there is great sadness in the parish, words cannot express our deep sadness at the passing of Jack." Jack was training to be an electrician and had been looking forward to his holiday, a friend told Independent.ie. Denise Smullen said: "I met Jack about two years ago at a disco and we kept in touch ever since. "He was also very nice, he was the kind of lad who would do anything for his friends. "It's definitely hard to take, you just never expect something like this to happen to someone you know." It is understood that he was only in the resort a few hours when the incident occurred. He had travelled to Mallorca on Monday to meet with friends. It's understood a number of the teenager's family have travelled to Spain following the incident. Mr Walsh was working as an apprentice with a Limerick electrical sub contracting company for the past eight months. On Thursday, his manager Frank McGovern, said everyone was “really devastated” after hearing news of Mr Walsh’s fall. Mr McGovern said Mr Walsh’s workmates were “very broken up” about the tragedy. Passing on his “thoughts and prayers” to the Walsh family, he said Jack was “a valued member of the team” who had “a lot of potential”. Speaking on Thursday, Mr Walsh’s school principal at Colaiste Mhuire Askeaton, Norma O’Brien, said everyone had been “shocked” by the tragic events in Mallorca. Ms O’Brien said the school has put in place supports for students effected by the tragedy. Mr Walsh’s friends who he joined in Mallorca, are also trying to come to terms with their sudden loss. The group, who flew to the island last Monday, have been helping local police with their investigation into the circumstances surrounding the tragic events of the night in question, sources said. Their families have also travelled to Spain to comfort them. The group, along with Mr Walsh, had been due to return home today, Friday, June 15. “All of the youngsters out there are really upset. I feel sorry for them, its so tragic," said a source.